Today we are going to show you 20+ Best Free Stylish PowerPoint Templates in the market right now. These templates are some of the most well designed and creative templates you will find. The versatility of these templates allows you to use them from various types of presentations such as business, education, social media, or photography. Thus, you can choose which template best fits your presentation. The possibilities are endless. Some of the best aspects of these templates are that they are extremely easy-to-use, fully customizable, and did I already mention that they are completely free? Also, the fact that they are all PowerPoint compatible makes them easy to present and edit. So if you are looking to create a captivating and conveying presentation while adding a touch of creativity and style, then these 20+ Best Free Stylish PowerPoint Templates are here to help you achieve that goal. So take a look around. And choose the templates that you find the most stylish so you can start using them immediately for your future presentations. Dazzle your customers with this Look Free PowerPoint Presentation Template. This template contains a stylish and elegant design that is perfect for displaying your next fashion line or latest product. With easy to use slides, this template will make it easy for you to showcase all of the trends and fashion statements your company has to offer. Introduce your latest product and the mission of your company with this Neue Free Minimal PowerPoint Template. This template contains features such as infographics, section breaks, and timelines that will help you create an unforgettable presentation for your audience. Impress your potential investors with this amazing and professional Ravi Presentation Template Free Demo. This stylish template has all the tools and features you need to create a successful and conveying business presentation. 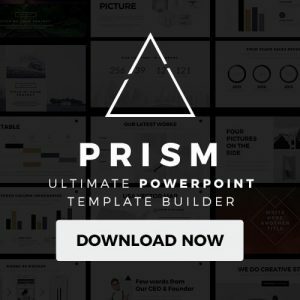 With over 100 slides, 40 colors, and 2000 icons for you to choose from, this template will elevate the creativity and appearance of your next corporate presentation. 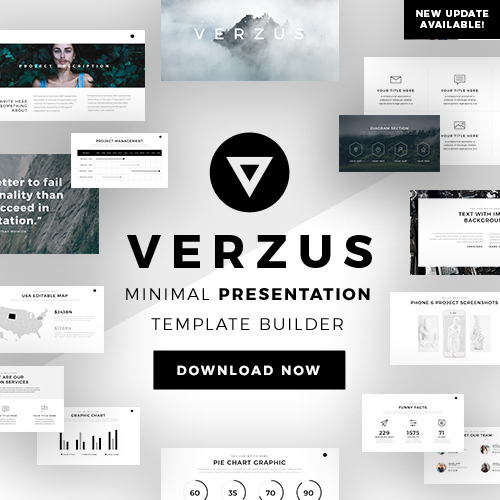 Impress any audience with this Elegant Free Presentation Template. The versatility of this template allows you to use it for various types of presentations such as social media, marketing, or business. Its easy to use and fully customizable slides will allow you to personalize each slide to your presentation making no time. If you are an artist or photographer, then this Articles Modern Minimal Presentations is for you. This template will help you showcase all of your artistry work and images with ease. Its endless features and tools will help you create a captivating presentation that will leave your audience in awe. This Bright Free Presentation Template is full of color and will grab the attention of your audience immediately. Use this template to present your latest business strategy or your newest product. Its endless features will allow you to create a convincing and stylish presentation in no time. If you like simplicity then this Free Minimal PowerPoint Template is for you. With a minimalistic design and a classic black and white color scheme, this template will surely keep your audience focused and engaged no matter what type of project you are presenting. Creativity and style are the best way s to describe this Zane Free Presentation Template. With a sleek modern design and an array of colors for you to choose from, this template will make your next business, photography, or social media presentation stand out from the rest. Introduce your business with this colorful and elegant Minimal Minimalist Presentation Demo. This template makes it easy for you to introduce the mission, values, and products of your company. You can also insert infographics to compare sales trends to those of your competitors. This Branding Free PowerPoint Template is the ultimate business template. With endless features and tools, this template has the perfect combination of style, professionalism, and creativity. So if you want to elevate the outlook of your future business-related presentations, then you need to download this one of a kind template today! Give your next business presentation an added flair with this Air Minimal Free PowerPoint Template. This template contains an elegant design alongside a rich color scheme that will elevate the appearance of your next presentation. Its easy to use and fully customizable slides make it easy for you to create a persuasive presentation with little effort and time. This simple Top Business Free Presentation Template will take away the hassle of creating an amazing template from scratch. Its simple yet stylish design and rich blue color scheme will allow you to keep your audience engaged and focused throughout your presentation while also enhancing the visual outlook of your presentation. Introduce all of your team members and values of your business with this Flat Free Presentation Template. This template allows you to divide your content into several columns within the same slide and has dynamic infographics along with many other features that will help you create a successful and convincing business presentation. This Attica Free Presentation Template will help you introduce all of the various business-related topics and concepts you want to present. With a colorful and stylish design, this template will grab your audience’s attention from the start. It’s easy to use, and fully customizable slides will allow you to edit each slide according to your presentation liking or need. Impress your potential customers and investors with this Corporate Free Presentation Template. This template allows you to insert powerful images, quotes, and infographics that will take your presentation to the next level. So if you want to take your future business presentations from boring to exciting, then this is the presentation for you. If you like diversity, then this Minimalis Multipurpose PowerPoint is for you. This template is perfect for various types of presentations such as photography, fashion, or business. Its endless features and tools, along with its beautifully crafted design will help you create a powerful and captivating presentation that will leave your audience impressed. Add a pop of color to your presentation by using this Stylish Free PowerPoint Template. This template contains a bold design and an array of colors for you to choose from. With easy to use slides and endless features and tools, this template will help you create a stylish and fun presentation in no time. If you like simplicity then this Strategy Free Business PowerPoint is for you. With a minimalistic design and a classic black and white color scheme, this template will surely keep your audience focused and engaged no matter what type of project you are presenting. If you are an artist or photographer then this Free Remember Template Presentation is for you. This template will help you showcase all of your artistry work and images with ease. Its endless features and tools will help you create a captivating presentation that will leave your audience in awe. These days it is important to have a presentation template that has elegance and style. That is why this Elegant Business Free PowerPoint Template is perfect for your next business presentation. This unique template will help you introduce your next business while also showcasing all of your products with style and creativity. Creativity and style are the best way s to describe this Lanina Free Presentation Template. With a modern sleek design and an array of colors for you to choose from, this template will make your next business, photography, or social media presentation stand out from the rest. If you like versatility then this Gradient Free Presentation Template is for you. This template is perfect for various types of presentations such as photography, fashion, or business. Its endless features and tools, along with its beautifully crafted design will help you create a powerful and captivating presentation that will leave your audience impressed. This Simple Free Minimal PowerPoint Template has a simple yet professional design that is compatible with basically any type of presentation. Each slide is fully customizable which means that you can edit the size, text, and color of any specific slide according to your presentation liking or need. This template will elevate the visual outlook of your next presentation in no time. Showcase your latest business strategy and concepts with this Simple Free Presentation Template. Its endless icons and features will help you to explain to your audience what the purpose of your business is. So if you want to create a captivating and convincing business project, then you need to add this template to your collection. We have shown you 20+ Best Free Stylish PowerPoint Templates on the market right now. You have seen their beautiful designs and endless features. Each template has its own flair and uniqueness, which makes each template different and stand out on its own. No matter if you are getting ready to create a business, photography, or artistic presentation, you can surely find the template that will best fit your presentation. Each of these templates is completely free to download and are compatible with Microsoft Powerpoint. 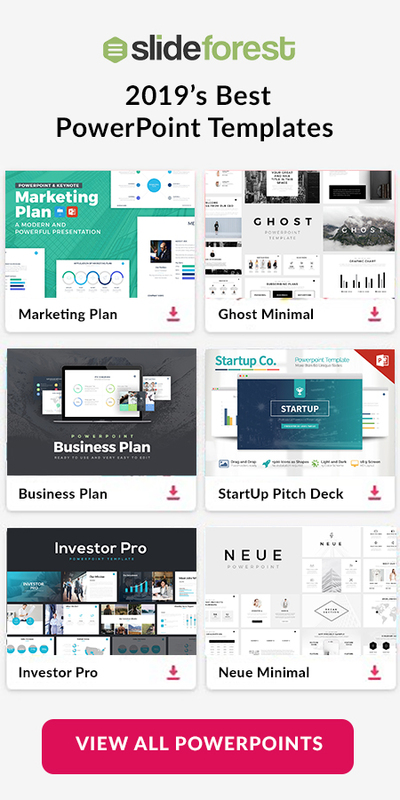 So if you want to take your future presentations from boring and unstylish to exciting and stylish, then you need to download some of these templates today!